We've had a major crush on the colored hair trend for a while now. We've even had several iterations of pink hair in the Verb office over the past year (👋 Kayce from Verb here, ^ that's me up there)! I'm actually pretty sad that it faded and wondering if it's possible to be jealous of your past-self? I want this hair back! So with the weather warming up it's the perfect time to experiment with your color and try a new cut. We can't stop looking at the pastel pink or newly deemed "millennial pink" trend. Check out some of our inspo photos below that we'll be adding to our #hairgoals boards. Of course anytime you're thinking of dyeing your hair, even if it's not pink, make sure to keep it healthy with the right products. We recommend using Dry Shampoo as often as possible to minimize washes and keep your color from fading. As someone who has dyed their hair several colors, I'd also recommend using Olaplex treatments at home in between salon visits and Verb Hydrating Mask has really helped keep my hair alive and soft. A styling cream with heat protectant also goes a long way and of course try to minimize the days you're putting heat on the hair. 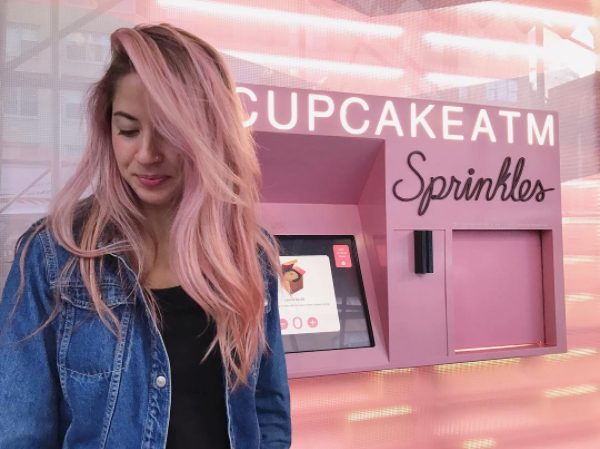 Visit Byrdie to see their picks for best millennial pink hair finds.